The 3 in front are old and sick. They walk in front to set the pace of the running group lest they get left behind. The next 5 are the strongest and best, they are tasked with protecting the front side in the event of an attack. The group in the middle are always protected from any attack. The 5 behind them are also among the strongest and best; they are tasked with protecting the rear, if there is an attack. The last one is the Leaader. He ensures that no one is left behind. 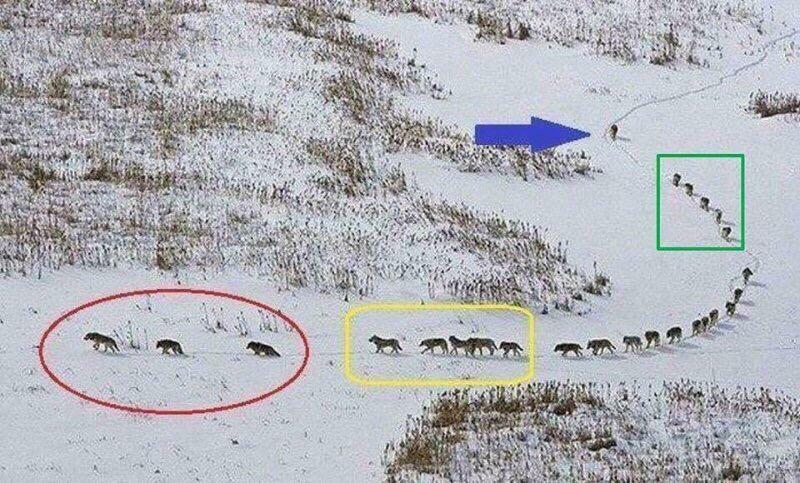 He keeps the pack unified and all on the same path. He is always ready to run in any direction to protect and serve as the ‘bodyguard’ to the entire group.